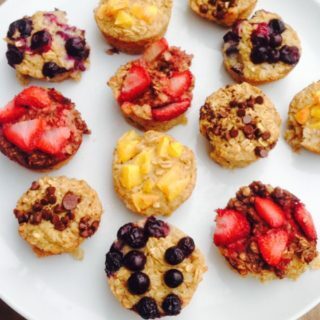 Want to have a healthy grain on hand for easy meals the entire week? 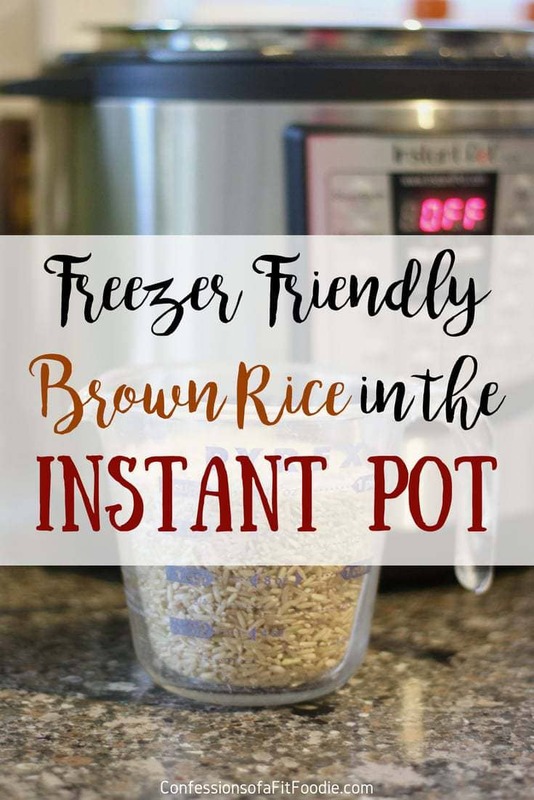 Making a multi-serving batch of Freezer Friendly Instant Pot Brown Rice could not be easier! Follow my step-by-step instructions to cut your meal prep time in half. By now, we all know the Instant Pot makes cooking or meal prepping incredibly easy! 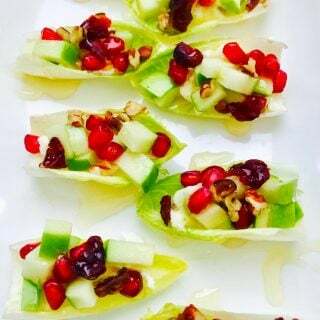 It takes half the time of normal cooking methods to create delicious, flavorful dishes that taste like they’ve been cooking for hours. 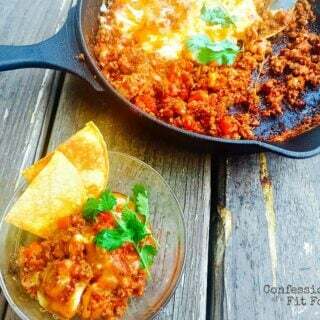 But did you know you can also, make a ton of different basic ingredients and meal prep items in the IP as well? I used to love buying the frozen brown rice from Trader Joes, but it’s SO much cheaper to just make your own! And it freezes perfectly in regular ziplock bags! 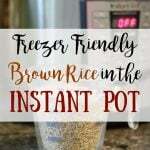 Today I am sharing my (EASY) step-by-step tutorial on how I batch cook brown rice in the Instant Pot. Instead of waiting for a big pot of water to bowl, simmering the rice for almost an hour, and watching to make sure it doesn’t overcook or burn the pot, my Instant Pot method results in perfectly cooked fluffy rice every time. Spray Instant Pot with cooking oil spray, the measure out equal parts rice and water (I usually do 2 cups of each) and add them to the Instant Pot. 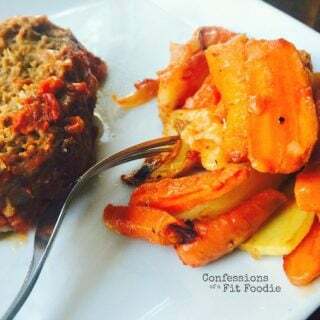 Set Instant Pot for 22 minutes and allow for a ten minute NATURAL release. Then do a quick release for the remaining steam. 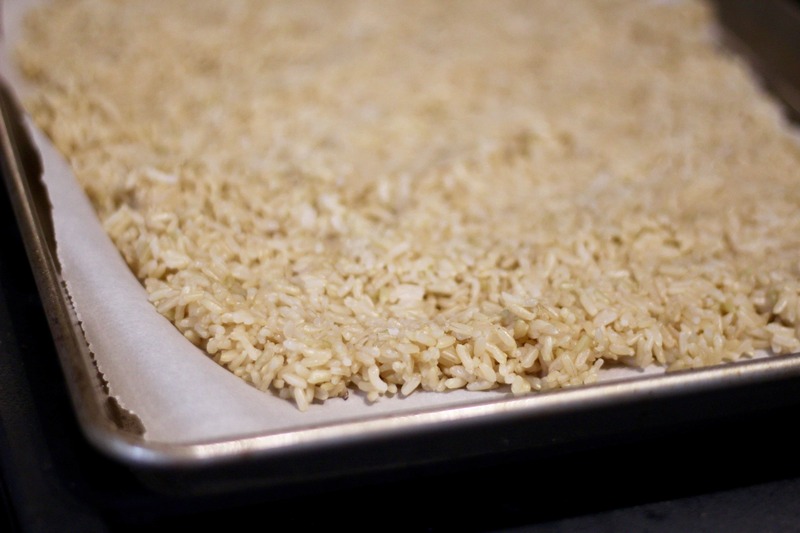 Once rice is done, spread it out on a parchment paper lined baking sheet to cool. 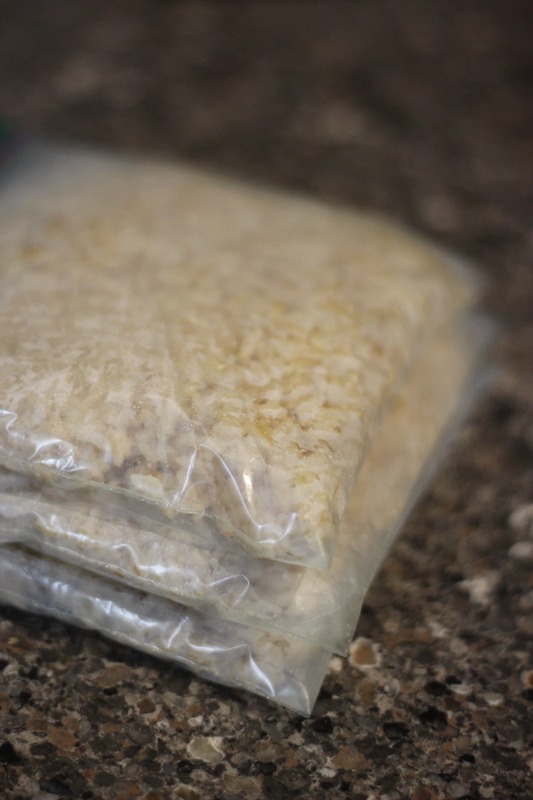 Once rice is cool, scoop individual servings into ziplock bags and lay flat. Don’t forget to label your bags with the amount of rice and the date! To thaw, just simply add a tablespoon or two of water and microwave for 1-2 minutes! 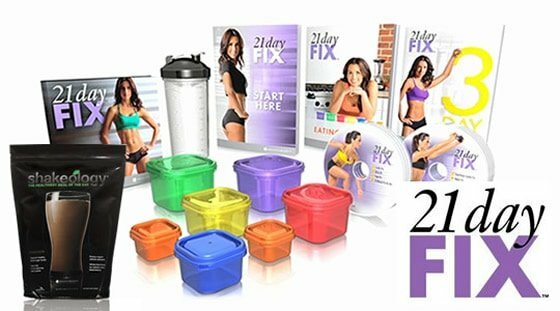 Easy-peasy, 21 Day Fix Approved, and no added oils, salts, or seasonings to the final product! Eating whole grains is such an integral part to a healthy, well-balanced diet. This easy preparation method ensures I have complex carb options on hand to feed my family all week-long. 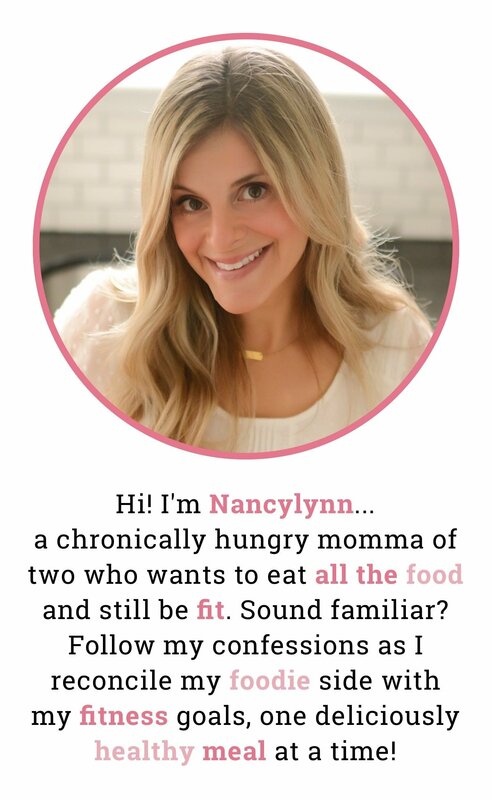 Do you meal prep certain foods every week? What are your staples to have in your refrigerator for easy, healthy meals? Making a multi-serving batch of this Freezer Friendly Instant Pot Brown Rice could not be easier! Follow my step-by-step instructions to cut your meal prep time in half. Spray your Instant Pot with cooking oil spray. Add in rice, then cover with water. Set Instant Pot to manual for 22 minutes and lock lid. 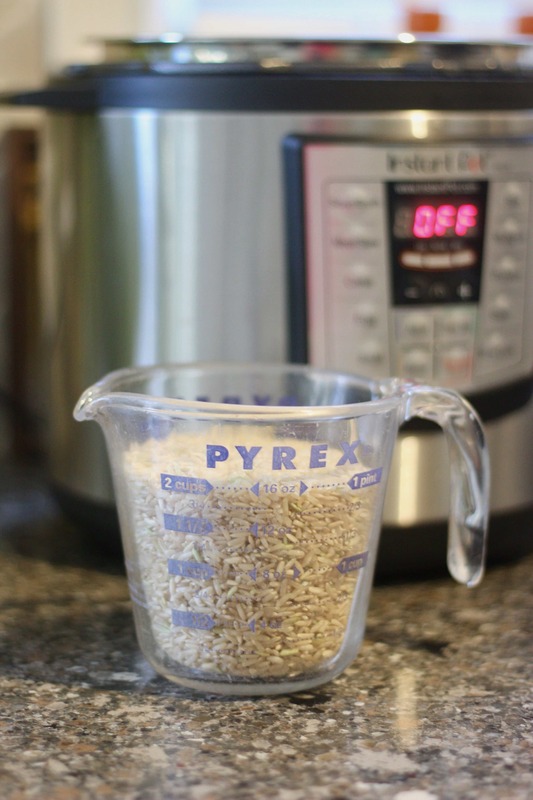 After cooktime, let the rice naturally release for ten minutes, then do a quick release. Let cool on a baking sheet lined with parchment paper. What type/brand of rice do you use. I buy Kroger long grain brown rice and it always comes out dense and chewy.. I have started changing the ratio of water to rice. 2 cups rice, 3 cups water, I still set it for 22 min but that is the only way we have “fluffy” Rice. I don’t use a special brand, so I don’t know? I’m glad you figured out how to make it fluffy!